The ritual of the workshop of inherited words began with each of us sitting within a book of our own inheritances. 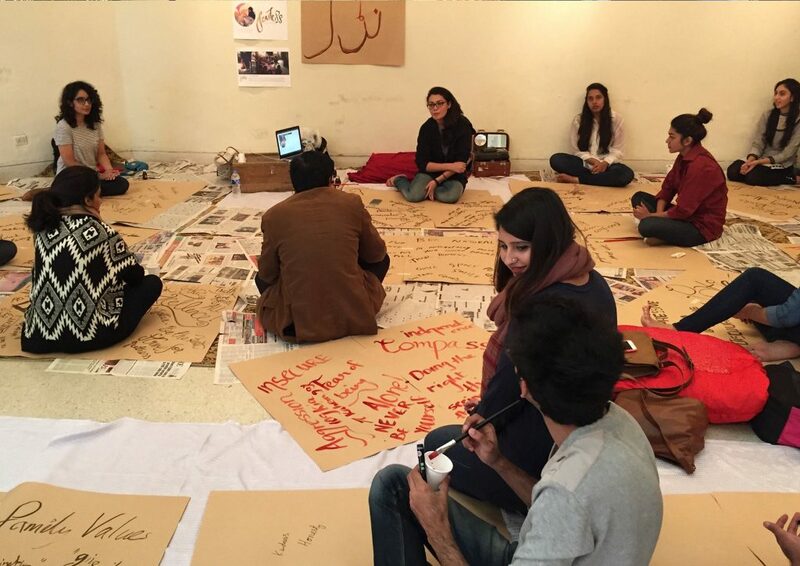 Each participant was invited to sit in the middle of their pages, and on either side write a phrase, word, fear or emotion that had been passed on from a previous generation. On one side, we'd scribe something positive or encouraging, the real family jewel, and on the other we'd put down something negative. One by one, we laid our pages on top of each others, creating a book of our collective inheritances. The discussion was intimate and emotional, often digging up personal histories, family secrets and generations of strength. 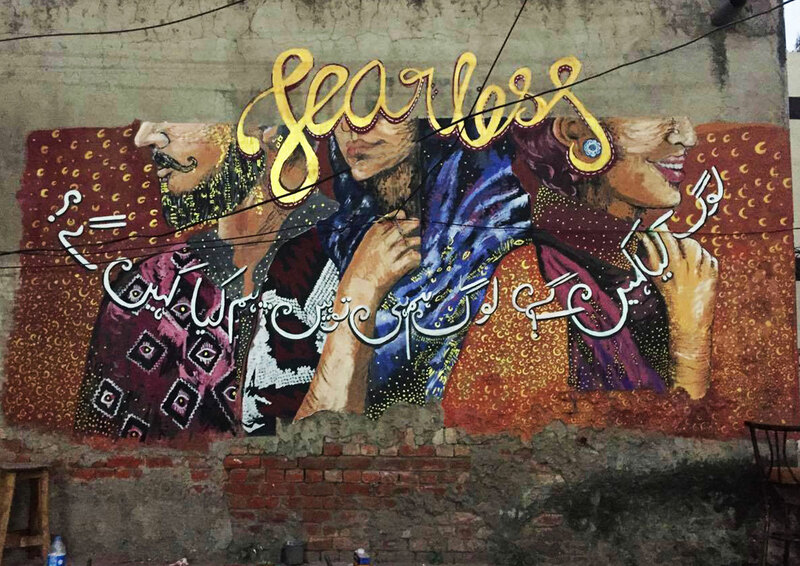 From the group emerged fearless farishta Shehzil Mallik's voice, as the last page was laid on our book of inherited fears, Shehzil spoke of the rhetoric phrase often heard in Indian and Pakistani households - "Log kya kahenge?" or "What will people say?". A stopper that comes up as a reminder to be mindful (and fearful) of the judgement and opinions of others. The answer from the group emerged - What will people say? We are the people, What will we say? A perfect affirmation for our wall of words. There's always a good deal of synchronistic chaos with Fearless walls. While permissions to paint had been sought weeks in advance, it all fell through. 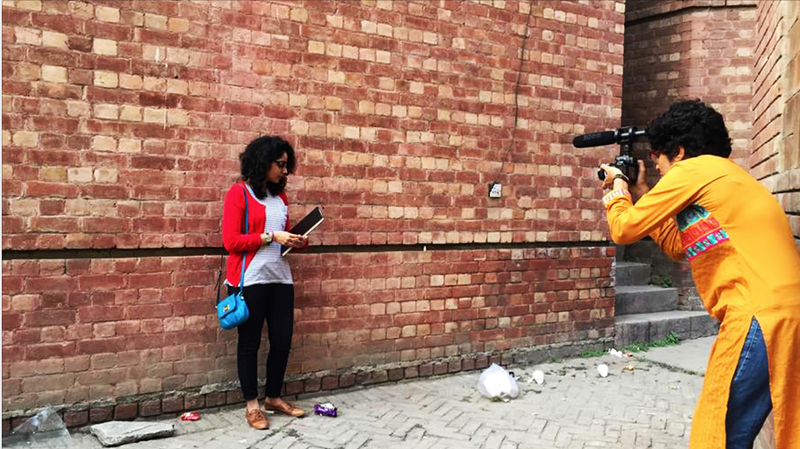 And so Shilo, Shehzil and Nida had no choice but to wake up at the crack of dawn and begin seeking permissions for a wall to paint. 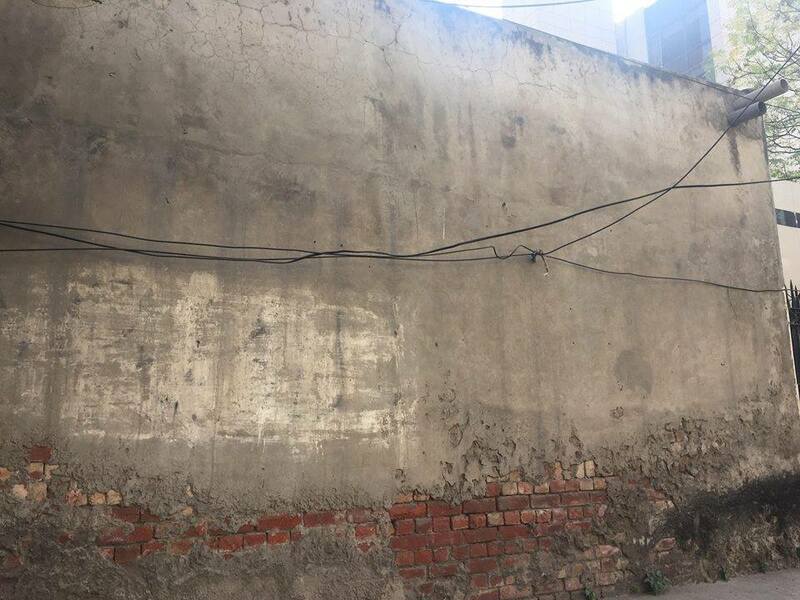 Eventually, in a moment quite reminiscent of the first ever fearless wall in India, we asked a chaiwalla on the street if we could paint a wall behind him. In a moment, he said- Sure! 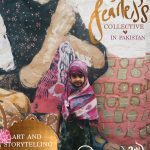 "Permission" granted, little did we know that we were about to paint the wall of the mosque of the biggest branch of the National Bank of Pakistan. Quite a historic moment for a first wall. And so we begin to paint, when a few hours into it security and people from the building we're painting on descend upon us, asking us what we're doing. 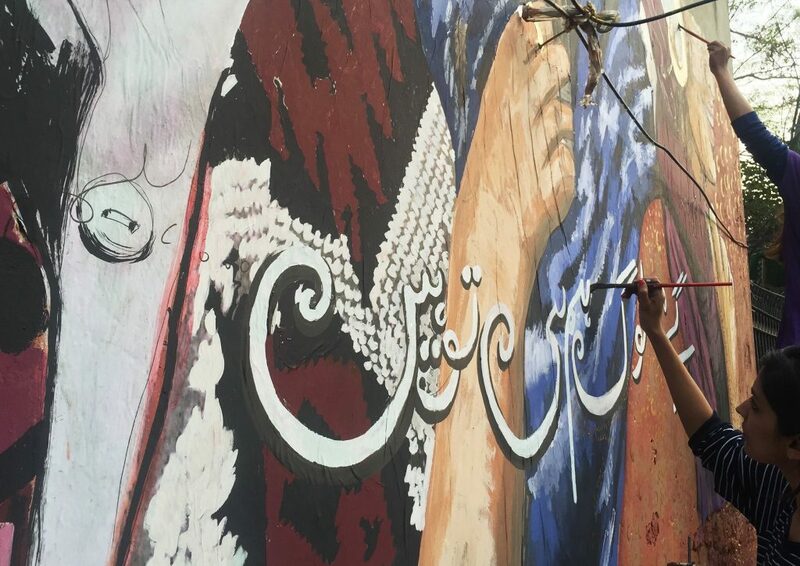 We're taken into the headquarters of the National Bank of Pakistan, and enroute spot a beautiful calligraphy mural by Saadiquain in the corridors of the building. Quite a sign for a workshop on words. 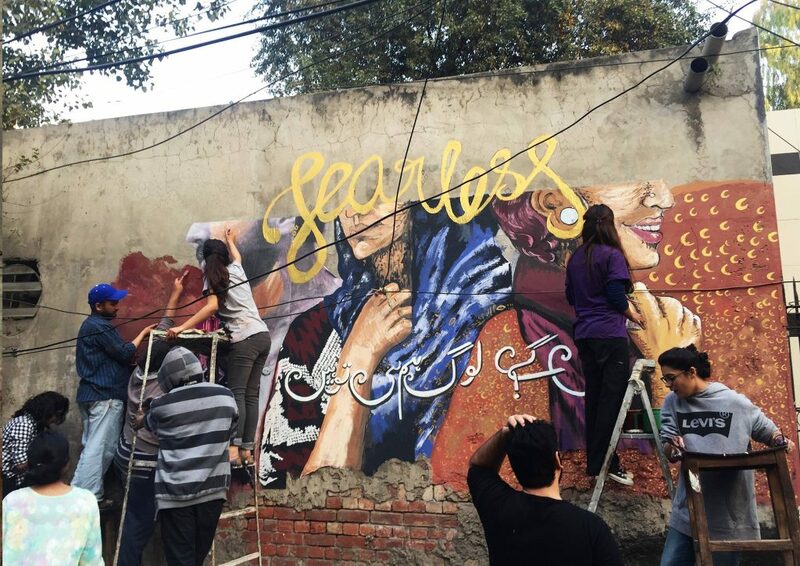 Outside, we continue to paint furiously, hoping to be able to finish our mural before we're asked to leave by the security- When Nida and Shehzil emerge with the director of the National Bank of Pakistan. He looks at the work and says- Please go on! This is beautiful. 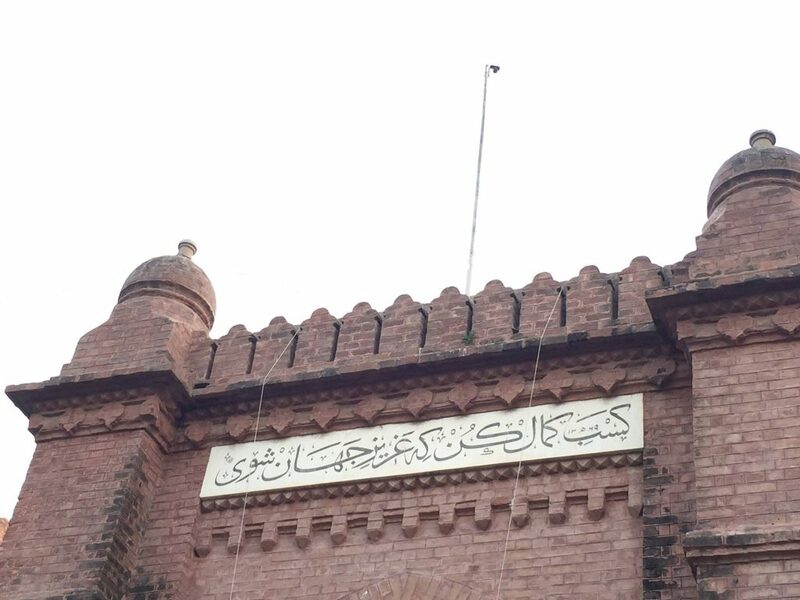 And so in beautiful urdu typography we begin to scribe - Log kya Kahenge? Hum hi to log hain. Hum kya Kahenge? 'What will people say, we are the people, What will we say? 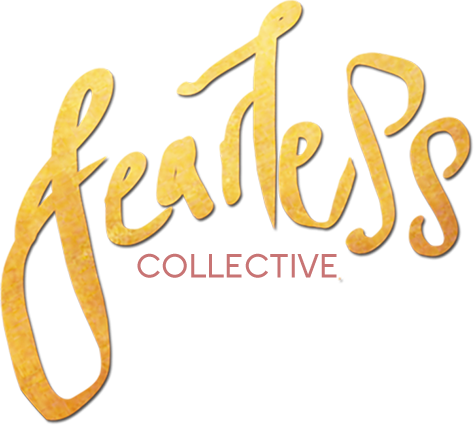 Fearless Collective wouldn’t be possible without friends like you. Fearless has U.S. 501(c)(3) status via our fiscal sponsor, Social Good Fund. All donations are tax deductible. Thank you for your continuous love and support.